Pit Bull Awareness Day is October 26, 2019! *For event planning ideas, click here. Once again, for NPBAD 2019, we're putting a BIG emphasis on YOU...all the dedicated owners and advocates out there. We know that behind every good bully breed dog is an OUTSTANDING advocate making the best of every opportunity to show case the incredible dispositions and outgoing personalities of these wonderful dogs!! National Pit Bull Awareness Day (NPBAD) is a day of appreciation and education designed to change perceptions and stereotypes about bully breed dogs, commonly referred to as "pit bulls," and their responsible owners. NPBAD was established to educate and foster positive communications and experiences in the communities in which we and our dogs live, and it is an initiative dedicated to restoring the image of the American Pit Bull Terrier. NPBAD was started in 2007 by Jodi Preis of Bless the Bullys, a pit bull rescue and education group in Middle Tennessee. When Bless the Bullys introduced the idea of a nationwide pit bull awareness day, the response was overwhelming! It was immediately recognized as an opportunity to educate, change minds, and bring about positive media attention to pit bulls across the country all on one day. Despite the overall positive reception, Preis initially received criticism from some for using the generic term "pit bull" in naming the nationwide effort, however, the term was chosen deliberately, and is used for a very obvious reason. "Pit bull" is the name most familiar to the public, and the term that evokes a negative connotation of a particular grouping of dogs. The objective of NPBAD is, of course, to change that negative image. The ultimate goal of NPBAD is to promote the truth about pit bulls. Knowledge is power, and with education and advocacy, the truth will save lives in terms of negating the fear and bias generated by the media, circumvent knee-jerk reactions such as breed bans, and the truth will result in fewer pit bulls ending up in animal shelters. NPBAD is an annual event that takes place on the last Saturday in October. (If Halloween falls on the last Saturday, then another date is chosen). Nevertheless, with the exception of the designated date, NPBAD is "unstructured" to allow those who participate to be as creative and have as much fun as possible with their ideas and celebrations. Through the years, we have seen some really creative and incredibly successful events! 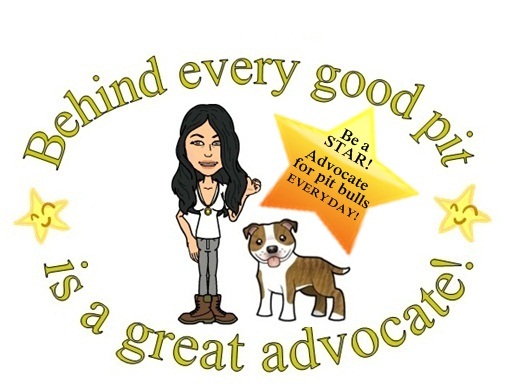 NPBAD is the heart of the National Pit Bull Awareness Campaign, an effort to change minds and opinions about pit bulls not just one day a year, but everyday! Celebrating TEN YEARS of advocacy!